Item # 306752 Stash Points: 799 (?) This is the number of points you get in The Zumiez Stash for purchasing this item. Stash points are redeemable for exclusive rewards only available to Zumiez Stash members. To redeem your points check out the rewards catalog on thestash.zumiez.com. 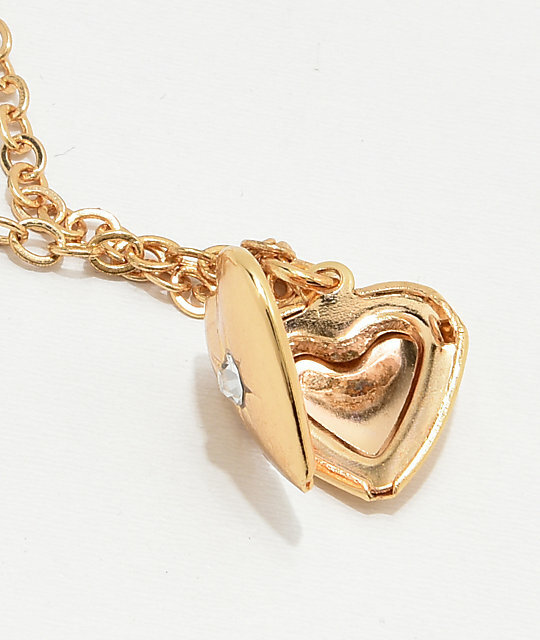 Accesorize your cute and casual looks with the Your Heart Locket 3 Pack from Stone + Locket. 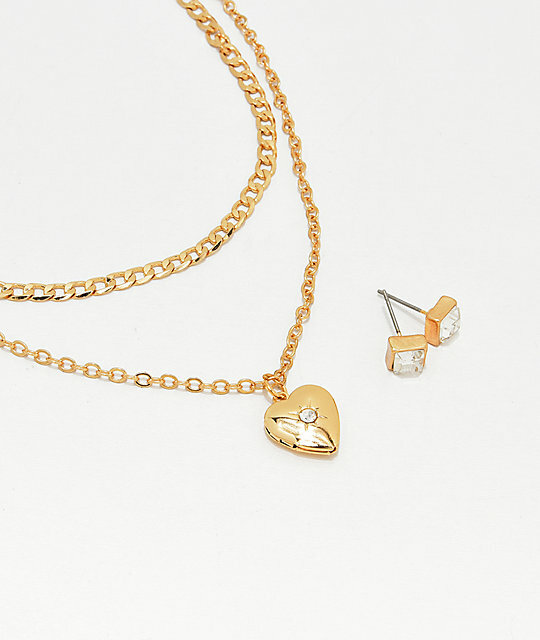 This 3 pack from Stone + Locket features a necklace with a heart shaped locket charm, along with a matching bracelet and stud earrings with faux gemstones. Your Heart Locket 3 Pack from Stone + Locket. Includes 1 necklace, 1 bracelet, and 1 pair earrings. Metal earring backs for a secure fit.